Noise, You Shall Not Pass! 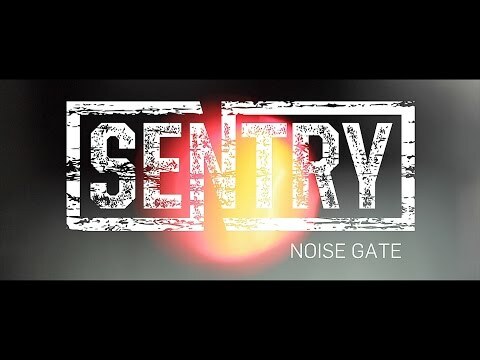 Sentry Noise Gate is your gateway to a noise-free and fully dynamic performance. Its cutting-edge multiband technology is set to cater to all of your hum and buzz-killing needs and with its highly intuitive design, you'll be dialing out that unwanted noise faster than an Yngwie Malmsteen arpeggio lick. Take control and enjoy the silence! Toggle Between The Higly Organic Multiband Gate, The Classic Hard-Gate And The Ultra Customizable Toneprint Gate Via The Flick Of A Single Switch. This Determines The Sound Level At Which The Gate Will Close. At Lower Settings Less Noise Will Pass Through And Vice Versa. Find Your Sweet-Spot And Rock Out! Controls How Long The Sonic Gates Stay Open. Lower Settings Will Close The Gate Instantly, Whereas Higher Settings Will Result In A More Natural Fade. You’Re The Gatekeeper, You Decide! Sentry Noise Gate Was Made To Let The “You” In Your Playing Shine Through. Its True Bypass Design Ensures Zero Tone Coloration, Letting Your Tone Shine Through With No Loss Of High-End. Damping Controls How Many Dbs You Attenuate Your Signal When The Gate Kicks In. Its Max Position Will Slam The Gate Completely, Whereas Lower Settings Will Leave The Gate Slightly Ajar, Securing A More Organic Result.